I'm interested in algorithms for visual perception (object recognition, localization, segmentation, pose estimation, ...) and visual reasoning (answering complex queries, often in natural language, about images). My work explores topics in computer vision and machine/deep/statistical learning. Ross Girshick is a research scientist at Facebook AI Research (FAIR), working on computer vision and machine learning. He received a PhD in computer science from the University of Chicago under the supervision of Pedro Felzenszwalb in 2012. 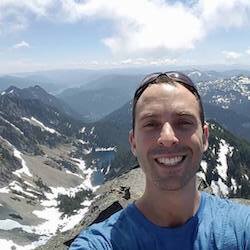 Prior to joining FAIR, Ross was a researcher at Microsoft Research, Redmond and a postdoc at the University of California, Berkeley, where he was advised by Jitendra Malik and Trevor Darrell. His interests include instance-level object understanding and visual reasoning challenges that combine natural language processing with computer vision. He received the 2017 PAMI Young Researcher Award and is well-known for developing the R-CNN (Region-based Convolutional Neural Network) approach to object detection. In 2017, Ross also received the Marr Prize at ICCV for "Mask R-CNN". 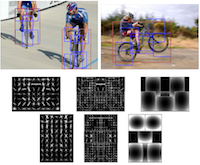 This paper proposes R-CNN, a state-of-the-art visual object detection system that combines bottom-up region proposals with rich features computed by a convolutional neural network. At the time of its release, R-CNN improved the previous best detection performance on PASCAL VOC 2012 by 30% relative, going from 40.9% to 53.3% mean average precision. 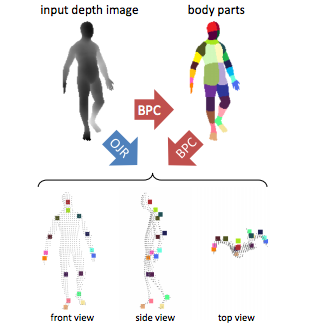 An integrated description of the original Kinect pose estimation algorithm and our ICCV 2011 algorithm.